Have you ever found yourself wanting to prepare boneless chicken breasts and crossing your fingers that you don’t end up with dry chicken? Here’s the perfect recipe for juicy boneless chicken breasts! It’s a quick and easy Sensational recipe that will have your mouth watering in no time at all! The brining process eliminates the need to add salt after cooking and you can choose from our salt-free or low-salt seasonings depending on the strictness of your diet. However, if your goal is to avoid sodium altogether, skip the brining step in the recipe and use our Sensational Seasonings Pork Rub for a salt-free meal. 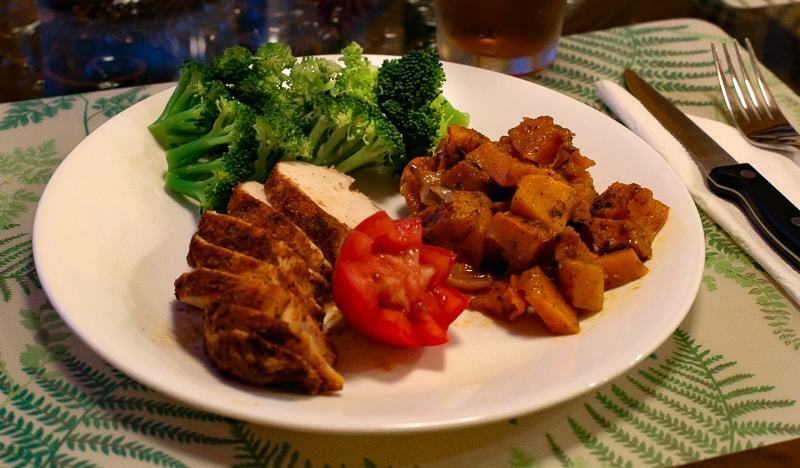 Our goal at Sensational Seasonings is to share healthy recipes that allow you to easily prepare meals at home that taste as good as your favorite restaurant. We think this one fits the bill! 1. Dissolve the salt in 2 quarts of lukewarm water. After the salt is fully dissolved, add 2 quarts of cold water and two large handfuls of ice. Immerse the chicken breasts into the salt water and refrigerate for 3 to 4 hours. 2. After the brining is complete, preheat the oven to 350° F.
3. Remove the breasts from the brine, pat dry with a paper towel and discard the brine solution. 4. Place breasts, not touching, on a rimmed cookie sheet or backing dish which has been sprayed with a non-stick spray. 5. 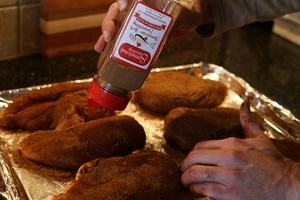 Sprinkle liberally with your favorite Sensational Seasonings Rub or Seasoning. (Or if you have multiple Sensational Seasonings, use one seasoning on each breast to give yourself some variety – they all taste great on chicken!) Important: Do not add salt – you already have salted by brining. 6. Bake to an internal temperature or 160°F (approximately 25-30 minutes). Please use an instant read digital food thermometer as you don’t want to over cook or under cook the chicken breasts. Brining, an optional, but important step! 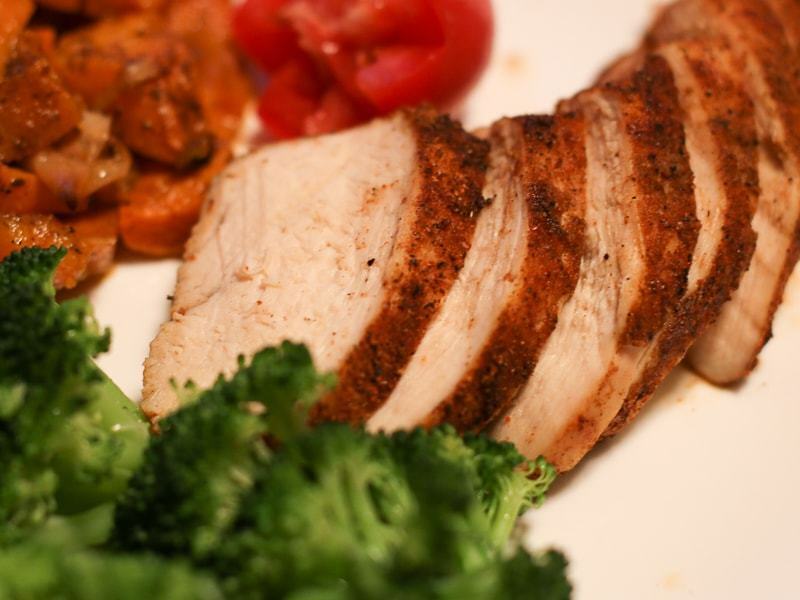 You’ll be amazed with how moist and flavorful your chicken will turn out! This is achieved through the brining process as well as by cooking the breasts to the perfect temperature of 160°F. Don’t eat it all in one sitting! Make a great sandwich with your left over chicken the next day. Just combine thinly sliced pieces of chicken, apple with you favorite cheese and bread!